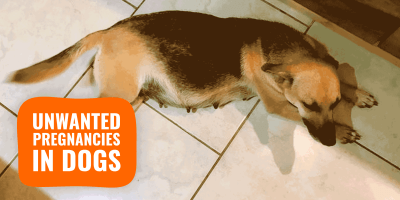 Freeze Dried Beef Liver Dog Treats — Everything You Want To Know! Did you know that freeze dried liver dog treats are a great incentive for training your pet? Did you know that they are a healthier option than regular treats? It’s true! The dried beef liver treats are less messy than carrying around a bag of raw liver. They are the best treats for training your dog because they are high in protein, lack any fillers or unnatural additives and they have that real liver taste that your dog will love. You can take these treats anywhere and not have to worry about them spoiling. These treats are ideal for anyone who wants to feed their dog the best natural diet, free of additives and nasty meat byproducts. 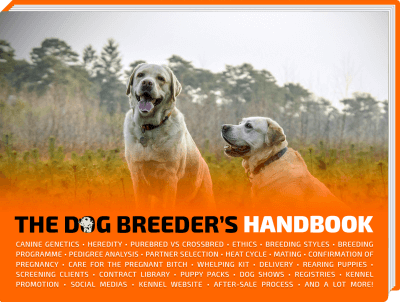 Dog owners and dog breeders buy their dogs’ food and treats because of convenience. We’re happily turning a blind eye on unhealthy ingredients just to have something ready when we want it, where we want it. Freeze dried dog treats are perfect for vacations, camping trips, or just for keeping around the house. However, if you simply try to do it yourself once or twice, you will realise how coming up with your own dog treats is easy and oh well, so fun. 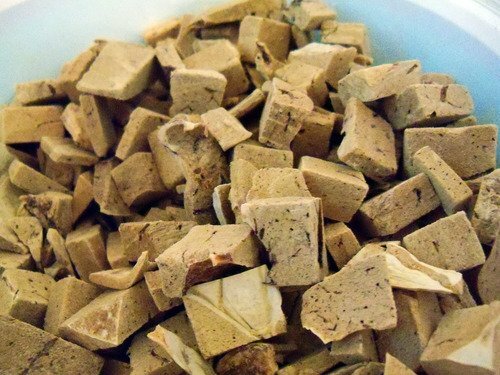 Here is a starting point so you can make your own freeze dried beef liver dog treats! To prepare the beef liver, you first need to rinse the liver with cool water and put a large pot of water on the stove to boil. Add the liver to the boiling water. Simmer the liver for 30 to 45 minutes until it’s well done. Allow the liver to cool and then start preparing your liver treats. Cut the liver into bite sized pieces and spread them out on a foil covered baking sheet and pop it into your regular kitchen freezer or deep freezer. The longer these treats stay in the freezer the better. Ideally you should leave the treats in the freezer for five to seven days. Test to see if your treats are freeze-dried to perfection by taking a piece out of the freezer and allowing it to thaw. If it thaws a little bit and there is any moisture there at all, your treats need to stay in the freezer a little longer. When you’re treats are properly dried you can store them in a plastic bag in a cool dry place or in your freezer for an even longer shelf life. Not only will your dog love these treats but you can be confident that you’re giving your dog treats without any harmful additives. There is nothing healthier for your pup than homemade, natural treats. If you wish to add extra flavor like fresh garlic, be sure to use it sparingly. In large amounts, it can be harmful to your dog. However, putting in additional flavor is not totally necessary. Your dog will love the natural flavor of the liver all on its own. Dried Beef Liver Dog Treats: The end result! 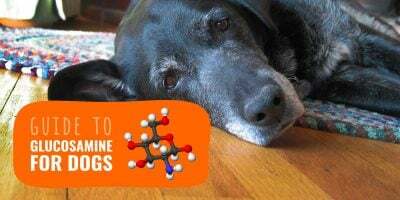 Though dried liver treats are a win-­win for you and your dog, you don’t really have to cook the liver before you cut it up and put it in the freezer. Raw liver is higher in nutrients than liver that has been cooked. When you freeze dry raw liver, it retains more of its natural nutrients than if you cook it first. Raw dried liver is loaded with vitamins that your dog will benefit from. Vitamin A aids digestion and is a powerful antioxidant. Folic Acid, B vitamins and B12 help with fatigue, mental ability and nerve health. B vitamins also prevent anemia. Iron is important for the formation of hemoglobin, brain function, regulation of body temperature and muscle activity. Iron is crucial for getting oxygen to the blood and a lack of oxygen often causes fatigue. So if you have a performance dog, raw liver treats might be just what your dog needs to give them a healthy energy boost. Did you know that your dog can suffer from dementia? Adding raw beef liver to your dog’s regular diet can prevent that. But there is such a thing as too much of a good thing, so try not give them more than %5 of their daily diet in liver. It may be more practical to buy commercially made dried beef liver dog treats for your dog, but you can’t really be sure of the quality or contents of commercial treats. Making liver treats for dogs at home, where you can control how they turn out, is a much better (and safer) way to go. If you buy it commercially, get a product that has a single ingredient, beef liver. 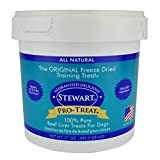 Like Stewart Pro-Treat. As explained by Vetinfo, liver treats make a great reward when training your dog or just for a special treat. Either way you choose, freeze dried meat is a much healthier alternative for your dog than commercially made kibble or treats with ingredients you can’t even pronounce. All your dog needs in their treats is real meat with real nutrition inside. If you were to bag and sell your own, homemade treats, the label would simply read “meat” and nothing more. So which would you rather give your dog? 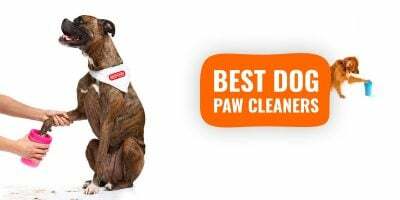 Commercially produced dog treats packed with wheat flour, fillers and ingredients you can’t even pronounce or simple, dried meat treats that you can make at home with just three ingredients; Beef liver, water and a freezer. These treats are good for them and easy for you to handle too. So consider dried beef liver dog treats. You’re dog will thank you for it.